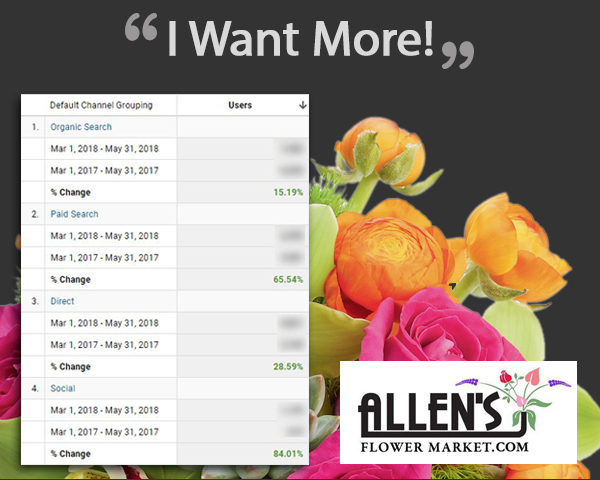 Allen’s Flower Market – Multichannel Growth | ASTRALCOM - Content Strategy, Conversion Marketing and Customer Acquisition. Allen’s Flower Market – Multichannel Growth | ASTRALCOM – Content Strategy, Conversion Marketing and Customer Acquisition. Getting more for less is easy when you work with the team at ASTRALCOM.